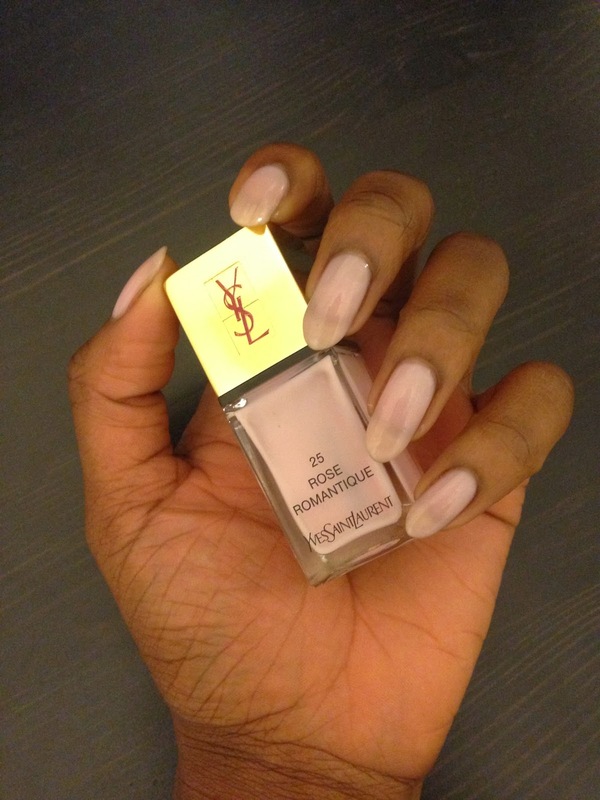 After having had dark and bright colours for the past weeks, I felt like changing things up a bit and going for a nice subtle shade and the colour that screamed out to me the most was this soft pale pink shade by YSL. It does require a minimum of three coats I feel, to allow you to gage its true colour shade but also depending on the look you want to go for you an alter the number of applications. 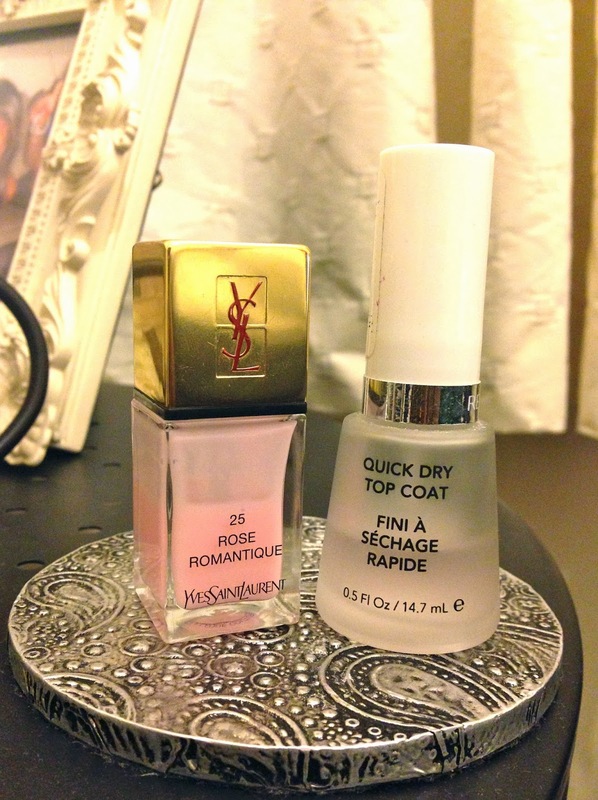 For a barely there look I would advise applying 2-3 coats of Rose Romantique and then 2 coatings of the top coat to not only give you that desirable glossy finish but to also help maintain the appearance of the nail varnish for a longer period.